There are many salesforce administrator training programs available today in the industry.With the increase in the number of companies using the techniques, queries regarding the safety and security in data protection have also increased. Salesforce shield is the answer to these queries. Salesforce has clearly exhibited that it is capable of rising to the occasion and meeting the industry requirements within a short time frame itself. What actually is Salesforce Shield? Salesforce shield has additional security aspects which assures data protection. As many private servers store data on cloud, the rising concern for protecting data stored is understandable. Salesforce online training sessions are becoming extremely popular now and although Salesforce has always assured that the systems are completely safe, they have now gone further and taken a new initiative to safeguard their clients’ interests. What a business looks for in Salesforce shield will depend on the current use or the planned future use of that business. Mainly there are four uses that come handy. Event Monitoring is a useful tool to any organization. This is especially true if there are frequent audits in the firm. 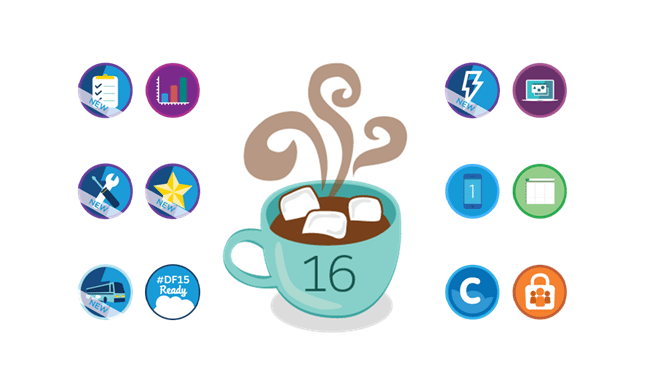 Event monitoring tool allows tracking of each and every change made in Salesforce . This feature allows the users to add on a number of processes to Event monitoring. 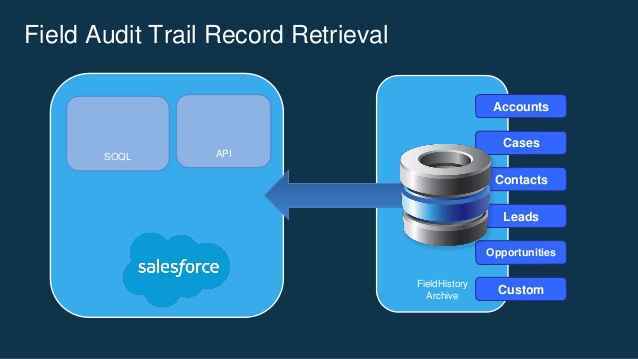 Salesforce can be configured to utilize an event as a trigger or reaction for the occurrence of another event. For example, you can prevent access to salesforce via unsupported browsers, the API extraction of a particular data can be restricted, and 2 factor authentication can be requested for various reports. This is a similar function like event monitoring and can be seen as an exhaustive version of the feature Field History. When Field history can support 20 tracked fields and also retain data for one and a half years, Field audit trail is capable of retaining an audit history of the past ten years. 60 fields can be tracked with the help of Field audit trail. Platform encryption lets you encrypt databases stored in Salesforce. Salesforce developer training will give you a clear idea on this.The project currently implemented by Salesforce featuring Bring Your Own Key (BYOK), unlike standard encryption allows for the encryption of all standard fields. It also supports encryption of unstructured files. The plus point is that better data encryption can be achieved as there is no limit to the encryption field size while using Shield. Shield has also proved to be an optimum solution to meet all security issues in organizations dealing with sensitive data like financial as well as health information. BYOK will enable local control over generation as well as storage of the encryption keys. Since Shield is a completely admin friendly system which requires no customization at all. 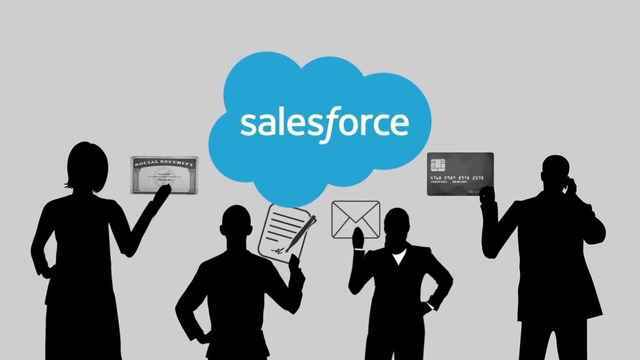 Anyone with a basic knowledge of Salesforce will find it easy to set the new system in place. When compared to third party encryption, Shield can be seen as a naive solution. It is easier to set up as it is user friendly. The operations are relatively faster and provide far better security to sensitive data as compared to third parties. The installation of Salesforce shield does not require any additional infrastructure. Recently Salesforce Shield has turned into a necessity for cloud computing. The growth of the industry related clouds have added urgency to the emphasis on security, especially in the financial sector. This is extremely important in the health industry also as the personal health records of the customers are extremely sensitive. Not all the industries have the need to implement Salesforce Shield. The systems in built into Salesforce are adequate for many firms. However Shield comes into the picture when the concerned industry has special security requirements or needs to support more features. To summarize, we can conclude that Salesforce shield is indeed a revolution in the field. It provides protection to your firm through simple point and click tools and enhances the client’s’ trust and compliance across business critical apps.